. The horses here require loving, knowledgeable and caring owners. 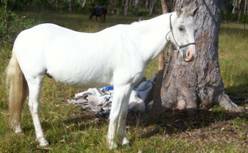 for those horses from rescue (R) backgrounds would be ideal.
. All horses are based at Johns River, midway between Port MacQuarie & Taree. (R) Milly is 14.2hh and approx 18 years old. Milly was rescued from Queensland and, as is normally the case, she required some time to try and put her horrific experiences in the doggers yards in the past. Milly has come a long way with her acceptance of being caught, rugged etc. and shows that she has been a really great little horse in her time. She has not been ridden since relocation to NSW. 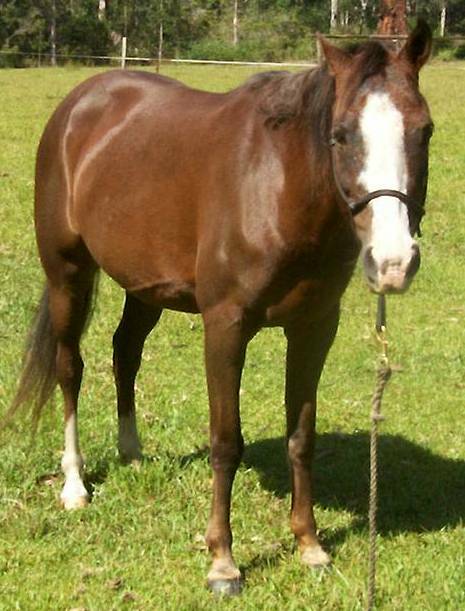 (R) Charlie is approximately 11.2hh and 18 years old. Charlie's background is as a riding pony who was owned by a young lass who liked to gallop him everywhere. He was not respected or handled correctly and then harshly treated for his resulting behaviour. Charlie has come a long way and 2 years has not put a foot wrong. He needs to be re-educated with a gentle, capable, lightweight adult rider who will teach him it is okay to do things slowly and could then graduate as a 2nd pony for children needing to advance their riding skills. 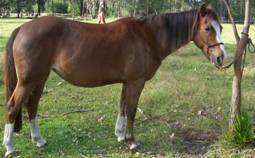 Dafydd is a welsh gelded pony (Welsh x Australian ) 11.2 hh and 22 years young. $2000. Dafydd is exceptionally talented and would suit a child moving up a notch. He is a real pal, gentle on the ground and enjoys companionship. He requires an excellent home in the western country as he is allergic to the bite of culicoides midge ( Qld itch) and needs to be free of all the pests which make life hell on the coast. The ideal home for him would be one where there are a few children who could graduate to riding him. Dafydd is also eligible for registration with the Welsh Pony society. 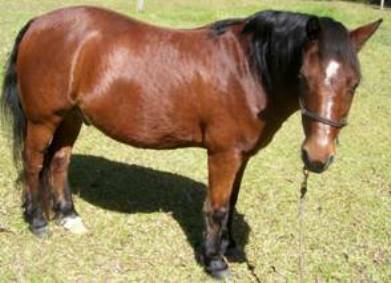 (C) Pride is a Arabian x Welsh pony mare 13.2hh and 13 years old - $1000. Pride wears a rug, floats etc but has not been mouthed or trained to saddle because of an injury to one of her forelegs early in life. Her daughter Sal is seen above. Pride is ideal for breeding and we can help with paperwork so that Pride and her progeny can be registered with Arabian Society. The new owner would need to pay all fees. 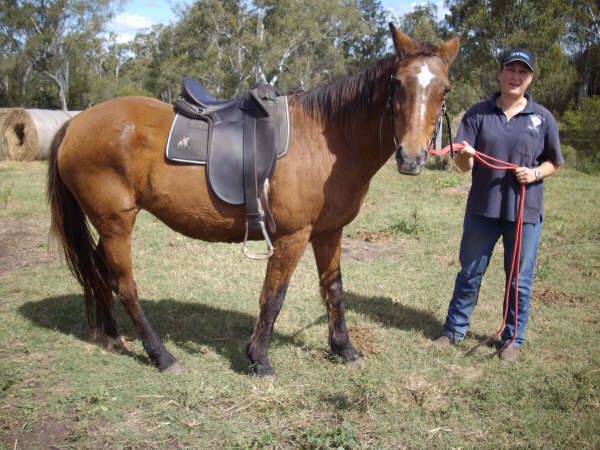 MLT Horse Transport - Craig McKenzie 0419115026 also covers Victoria weekly.